Business Today Knowledge Forum on HR discusses staffing issues at start-ups and productivity challenges. The last month of 2017 saw some of the finest brains of India Inc. and the academic world brainstorm on challenges facing HR managers. The Business Today Knowledge Forum in Human Resources, held on December 14 in Hyderabad, saw HR practitioners from different industries talk about how to get the most out of their most precious resource - their employees. The event, held in the city for the third time in a row, began with a welcome address by Prosenjit Datta, Editor, Business Today. "Despite the advent of automation and technology, there is no company today that can say it has reached success without its people's contribution," he said. Datta touched upon the two topics listed for discussion - how critical is culture when hiring for a start-up and how to keep productivity high in a slow-growing economy. The highlight of the evening was a powerful speech by K.T. Rama Rao, a young Cabinet Minister of Telangana and the Chief Guest of the event. Calling India a country that has the world's largest 'thinkforce' as against 'workforce', the Minister urged HR professionals to explore innovative ways to harness human resources. 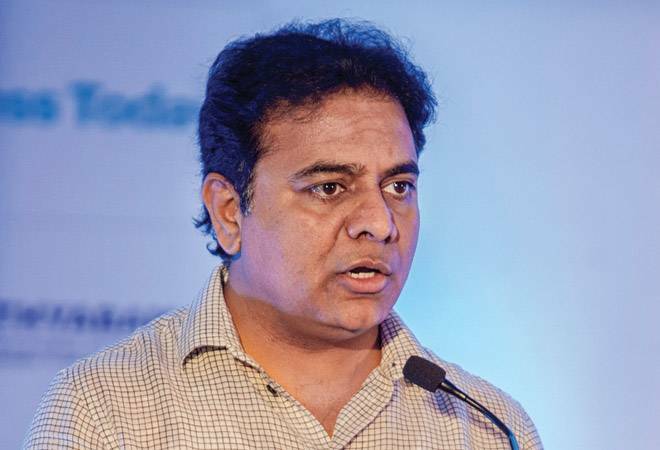 Citing the example of the Telangana government, he said that for the state's four lakh government employees, serving a total of four crore citizens is a difficult task that requires collective thought and purposeful execution. The first panel discussion on the topic - Is Culture Critical To Hiring For Start-Ups - was moderated by Rama Iyer, Senior Vice President and Head, Innovation and Strategic Alliances, at T-Hub. Other panellists included Rishi Raj Gupta, HR Leader, Facebook India; Pradeep Dhobale, Co-founder and Director of Springforth Investment Managers, and Suryanarayana Kodukulla, Director, People Ops, Google India. Iyer said culture could prove critical to hiring for start-ups as it is important that the employee buys into the vision. Dhobale said for a start-up, growth is so important that bringing in culture as an additional component while hiring may not work. Instead, start-ups should look for basic values such as integrity, teamwork and the ability to fit in new roles. Google's Suryanarayana said culture is embedded in the four attributes that they look for, and these include general cognitive ability, role-related knowledge, googliness and leadership. Rishi Raj Gupta said getting the right people on board was critical. Iyer turned to the famous Peter Drucker line: Culture eats strategy for breakfast. According to Gupta, what you do is strategy and execution but how you do it is the culture component. The second discussion - How to Keep Productivity High in a Slowing Economy - was moderated by Professor S. Ramnarayan of Indian School of Business (ISB). He talked about the attributes of some high-growth organisations, including clarity on the need for change and different mindsets such as purpose-orientation, people-orientation and learning-orientation. B. Jaikrishna, President, Group HR, Corporate Communications and New Business Development, at Amara Raja Group, felt there were both soft aspects (core values and core purposes of an organisation, communication and connect) and hard aspects (those around productivity enhancement). K. NarayanRao, Chief General Manager, HR, NCC Ltd, said apart from leaders leading by example, there would be some important aspects that sustain growth. These had to do with not separating project execution and business development roles. P.N.S.V. Narasimham, Senior Vice President and Global Head, HR, Cyient, mentioned some critical cultural aspects such as the element of anticipation with a high level of active preparedness and flawless execution capabilities. Sibsankar Bandyopadhyay, Head of HR, ITC Paperboard and Speciality Papers Division, said the company had different approaches towards skilling, from working with underprivileged people to tying up with technical institutes such as ITIs. The event was sponsored by Sathyabama University.